Sweden is the fifth largest country by area in Europe (449,964 square kilometres) with a population of 9.4 million in May 2011. The capital of Sweden is Stockholm. Sweden celebrates its National Day on 6 June. Sweden is a constitutional monarchy and has a parliamentary system of Government. King Carl XVI Gustaf exercises only ceremonial functions as Head of State. Executive power rests with the Cabinet, which is responsible to the unicameral Riksdag (Parliament) comprising 349 members who are directly elected every four years on a proportional basis. Voting is not compulsory but turnout is usually over 80 per cent. The centre-right Alliance for Sweden, a coalition comprising the Moderate Party, Centre Party, Liberal Party and Christian Democrats, was returned to power on 19 September 2010 under Prime Minister Fredrik Reinfeldt. The Alliance gained 173 seats out of 349 (two short of a majority). This is the first time a centre-right government has been re-elected in Sweden. Sweden joined the EU in 1995, following a referendum in which a narrow 52 per cent of electors voted in favour. 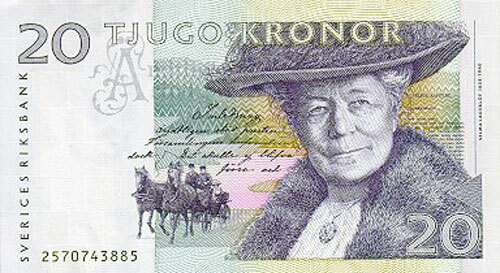 However, in a referendum in September 2003 the Swedes rejected joining the Euro Zone by 56 per cent. Sweden held the revolving six-month EU Presidency from 1 July to 31 December 2009. Sweden's key areas of foreign policy focus are development assistance, conflict prevention, peacekeeping, the environment, refugees and trade policy. Sweden regards the UN as having overall responsibility for international peace and security and the EU, the Council of Europe and the Organisation for Security and Cooperation in Europe as the principal vehicles for promoting and sustaining democracy in Europe. Although not a member of NATO, Sweden acknowledges the key role NATO plays in European security and participates in NATO through the Partnership for Peace Program. Sweden has had personnel deployed to the International Security Assistance Force since 2001. Foreign policy reflects a commitment to exploring avenues of closer cooperation in the security and defence mechanisms of Europe. Nordic-Baltic cooperation is an increasingly important aspect of Sweden's foreign policy. The Swedish economy is heavily dependent on a highly developed and internationally successful industrial sector, which was established in the early part of the 20th century through companies such as Ericsson, Asea, Astra, Alfa Laval, SKF, Electrolux, Volvo and SAAB, and now includes more recently established companies such as H&M and IKEA. However, many of the flagship companies are now totally or partially owned by foreign companies and shareholders. There have been several structural reforms since Sweden became a member of the EU such as the deregulation of the telecommunications, energy and air traffic sectors. GDP contracted by 5.3 per cent in 2009, before returning to a positive annual growth of 5.5 per cent in 2010, with an expected increase of 3.8 in 2011. Inflation was projected to remain low and stable, at -0.3 per cent per annum in 2009 and 1.2 per cent in 2010 and 3.1 per cent in June 2011. Unemployment was at 8.3 per cent in 2009, 8.4 per cent in 2010 and 7.9 per cent in May 2011. The bilateral relationship between Australia and Sweden is strong, particularly in the areas of trade and education services. Sweden, like Australia, is an active member of the UN, a strong advocate of free trade, and a significant contributor to international development assistance. A significant number of Swedish students are studying in Australia. Australian students are also studying in Sweden. Since 1 July 2001 a bilateral Working Holiday Maker Arrangement has been in effect between Australia and Sweden. Australia has a Double Taxation Agreement with Sweden. Their Majesties King Carl XVI Gustaf and Queen Silvia visited Australia in November 2005 along with a high level Swedish business delegation. Crown Princess Victoria also visited Australia in March 2005. Other visits have included: State Secretary for Trade, Mr Gunnar Wieslander (June 2010); Shadow Minister for Foreign Affairs, Mr Urban Ahlin (March 2010); a parliamentary delegation from the Riksdag Committee on Civil Affairs (August–September 2008); then Minister for Employment, Sven Otto Littorin, and then Minister for Social Security, Cristina Husmark Pehrsson (February 2008); then Prime Minister Göran Persson (February 2005); and HM King Carl XVI Gustaf and HM Queen Silvia (September 2000). The Minister for Foreign Affairs and Trade, the Hon Kevin Rudd, visited Sweden on 18 May 2011 for the UN High-level Panel on Global Sustainability, where The Stockholm Memorandum was signed by Nobel Laureates and presented to the Panel. During his visit Mr Rudd met with Swedish Foreign Minister Carl Bildt, HM King Carl XVI Gustaf and Mr Vidar Helgesen, Secretary-General of the International Institute for Democracy and Electoral Assistance (IDEA). Mr Rudd delivered a key note speech on the 'Global Implications of the Asia Pacific Century' in association with the Stockholm International Peace Research Institute (SIPRI) and IDEA. The then Minister for Foreign Affairs, the Hon Stephen Smith MP, visited Sweden on 7 and 8 October 2009, where he represented Australia at Ministerial-level consultations with Sweden as holder of the Presidency of the European Union, and met bilaterally with Defence Minister Tolgfors, International Development Cooperation Minister Carlsson and then Minister for Enterprise and Energy and Deputy Prime Minister Maud Olofsson. During the visit Mr Smith signed a Memorandum of Understanding formalising Sweden's Foundation Membership of the Global Carbon Capture Storage Institute, and announced a contribution of A$500,000 per annum for three years to the Stockholm-based International Institute for Democracy and Electoral Assistance (IDEA) to strengthen political governance in developing countries, including in the Asia-Pacific region. There have been numerous other high level visits by Australians in recent years including: the Hon Greg Hunt MP, then Parliamentary Secretary to the Minister for Foreign Affairs (June 2007); HE Professor Marie Bashir, NSW Governor (September 2007); the Hon Gary Nairn MP, then Special Minister of State (December 2006); Australian Parliamentary Delegation led by the then-Speaker, the Hon David Hawker MP (October 2005); then-Minister for the Environment and Heritage, Senator, the Hon Ian Campbell, (June 2005); then-Minister for Defence, Senator, the Hon Robert Hill (November 2003); then-Minister of Communications, Information Technology and the Arts, the Hon Richard Alston MP (October 2002); then-Minister for Agriculture, Fisheries and Forestry, the Hon Warren Truss MP (June 2002); then-Minister for Immigration and Multicultural and Indigenous Affairs and Minister Assisting the Prime Minister for Reconciliation, the Hon Philip Ruddock MP (January 2001 and April 2002); then-Foreign Minister, the Hon Alexander Downer MP (January 2001); and then-Minister for the Environment, Senator, the Hon Robert Hill visited Malmö (2000). Australia has an Embassy in Stockholm. 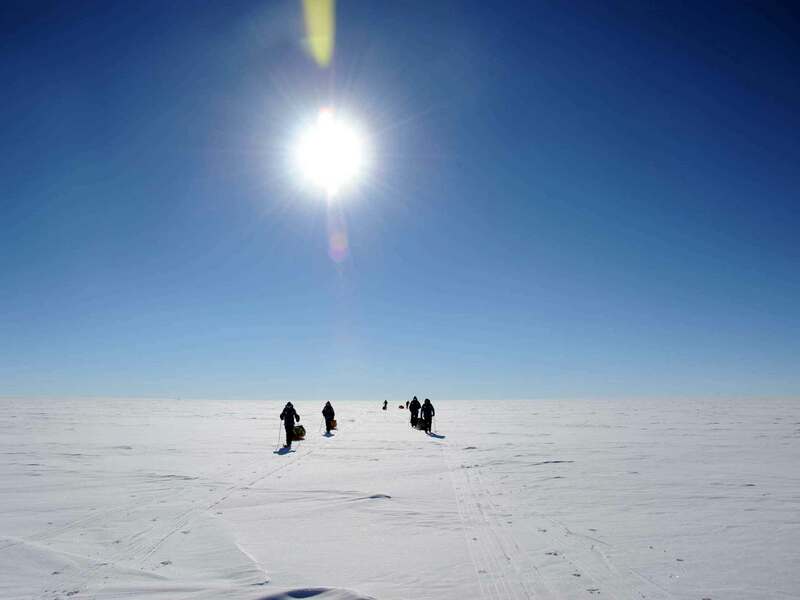 Sweden has an Embassy in Canberra as well as a Consulate-General in Sydney and Consulates in Adelaide, Brisbane, Cairns, Darwin, Hobart, Melbourne and Perth. In 2010, Australia's two way merchandise trade with Sweden totalled A$2.7 billion. Australian merchandise exports to Sweden totalled A$535 million (Australia's 24th largest merchandise trading partner). These included coal (A$394 million). Imports from Sweden totalled A$2.1 billion and included medicaments (A$367 million). Australia is a growing market for Swedish foreign direct investment (FDI), which was worth A$3.1 billion in 2010. Australian FDI in Sweden is also significant and amounted to A$4.1 billion in 2010. The main FDI business sectors are pharmaceuticals and chemicals, machinery and equipment, banking and finance, and energy. Approximately 30,000 Swedish tourists visit Australia each year. The total value of services exports, including education, was A$232 million in 2010. Australia has an Austrade office in Stockholm. Sweden has a Swedish Trade Council office in Sydney. Sweden's sophisticated infrastructure and its favourable attitude towards inward investments attract investors. The high taxation regime and the rigid labour market are among the less attractive features of the Swedish business environment. High levels of innovation as well as early adoption of technological advancements are strong drivers for market demand and opportunities for business and collaboration. The financial services sector is a strategic growth sector in Sweden with key strengths in retail and private banking, fund management, insurance, and financial IT. Swedes are among the world's most avid users of online banking services. Sweden is rich in natural resources, and is Europe's biggest producer of iron ore, second in lead, zinc, silver and gold, and third in copper. Globally, and within Sweden, there is an increased focus on mining following the global financial crisis with mineral prices strong. Australian companies represented in Sweden's mining sector include Dragon Mining, Orica Mining Services, Drake Resources, Energy Ventures and Altona Mining. Dragon mining produced over 40 000 ounces of gold at their Svartliden Gold Mine (located 700km north of Stockholm) in 2010, and is expecting to produce 35 000 in 2011. -- sustainable building (residential, office and industrial building). Particularly energy saving products that can be retrofitted. -- heating, ventilation and air conditioning (HVAC technologies). -- land management services (regeneration of mining and industry sites) . -- water and wastewater (community and industrial wastewater), particularly for systems that maintain ocean water quality. -- non-chemical water treatment (including UV and Ozonation and membrane technology). -- bio-energy, particular in 2nd generation biofuels and cellulose-based chemistry. Australia current ranks third in exporting wine to the Government controlled wine monopoly 'Systembolaget'. Australian wines are sold at all price levels, though consumers in Sweden are relatively price driven. 'Bag in box' and tetra packaging containers continue to be popular, with sixty per cent of all retail sales (in volume) in this type of packaging. Over the past decade wine consumption has grown steadily in all price brackets. Scandinavia is one of the top performing student recruitment markets for Australia in Europe. An Austrade-Australia Education International (AEI) agreement is in place to support growth in this sector. Swedish students are eligible for government grants and loans for higher education studies overseas. In 2010-11 there were 1 009 Swedish students with student visas in Australia. Technical textiles and textiles for industrial use are expanding sectors in Sweden. Sweden has a solid foundation of development and production of technical textiles and an aggressive interdisciplinary experimental textile and design research. Nearly half of Sweden's textile production is in technical textiles. Geotextiles, fabrics for airbags and the automotive industry, felts and fabrics for use in paper and pulp production, hygiene articles, parachutes, filters for air and liquid purification, and sails are some examples in this innovative branch. Sweden is also a world-leading producer of fabrics for greenhouses (sources: Smart Textiles, the Swedish Clothing and Textiles Industries Association). In June 2009 a delegation of representatives of Australia's research, development and production of technical textiles were the featured guests at the annual Next Textile Boras event in Sweden. 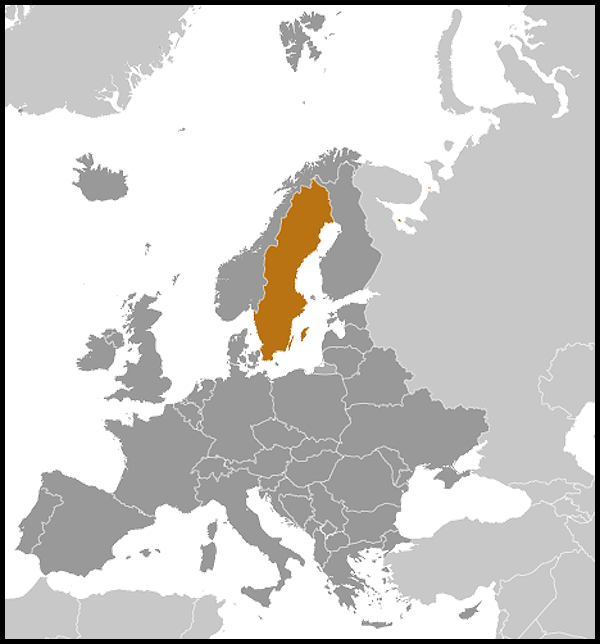 In 2008 a number of Australian IT and service companies were successful with tenders to the Swedish Government. Using an established local partner to provide after sales support or even establishing offices in-market was important to their success.